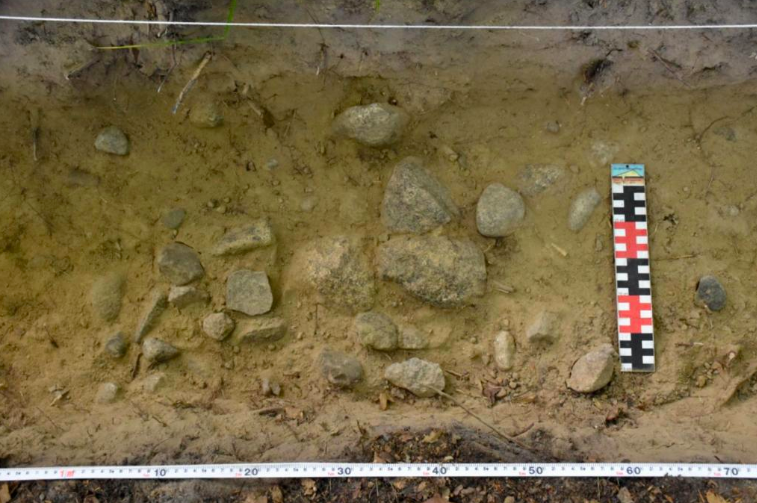 Polish archaeologists have discovered a completely preserved layout of an ancient settlement with cultivated fields, boundary walls, farms, buildings and even roads, from nearly 2,000 years ago in the Tuchola Forest. It is a unique site in Europe, emphasize the authors of the discovery. The area of the Tuchola Forest on the border of the Kuyavian-Pomeranian province and the Pomeranian province is overgrown with a thick forest. 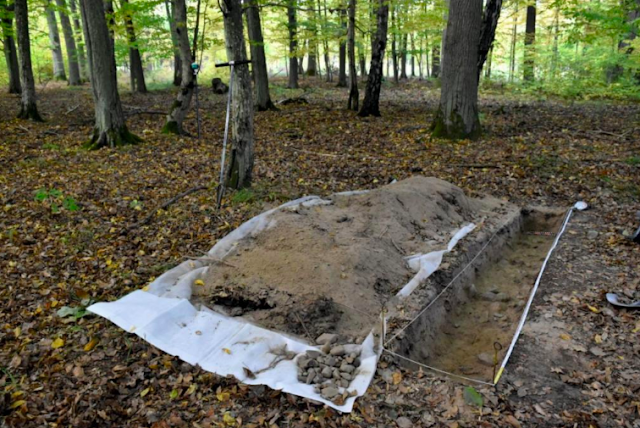 It is one of the least-explored areas in terms of archaeology in Poland. "As far as research is concerned, it was an untouched area. It was a great surprise to discover not just a single element of an ancient settlement, but also its surroundings: the fields, farms and connecting roads", says Mateusz Sosnowski, a PhD student at the Institute of Archaeology of the Nicolaus Copernicus University in Toruń. Sosnowski conducts research in the Tuchola Forest together with Jerzy Czerniec, a PhD student at the Institute of Archaeology and Ethnology of the Polish Academy of Sciences in Warsaw. According to the researchers, the remains date to the first centuries of our era. Why is this site so unique? Sosnowski explains that archaeologists usually only discover individual elements of settlements or other structures left as a result of human activity in ancient times. Such discoveries occur, for example, during construction of houses or roads, while conducting rescue excavations. A limited, small area is subject to research in such situations. There is also no possibility to conduct a wider search and check whether in the area, within a few dozen or several hundred metres, there are other equally interesting traces from the same period. "Here we have a completely different situation: we have found previously unknown traces of ancient settlement in the Tuchola Forest. It is not a single house or fragment of a village. We have an entire settlement with its economic environment in the form of fields or pastures, all elements from the same period. It is unique! ", emphasizes Sosnowski. "There are many indications that after the settlement was abandoned by its inhabitants in the first centuries of our era, it remained untouched. 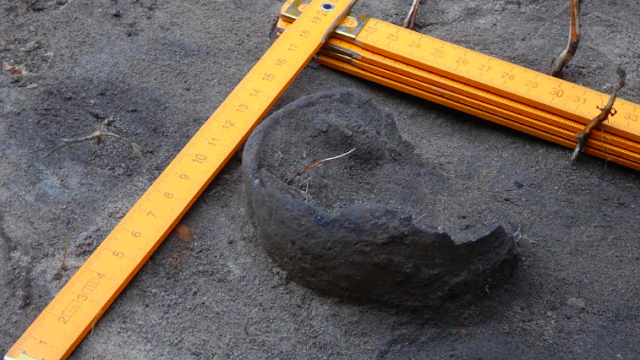 Therefore, its potential for further discoveries during excavations can be compared to the famous Biskupin settlement", the archaeologist notes. 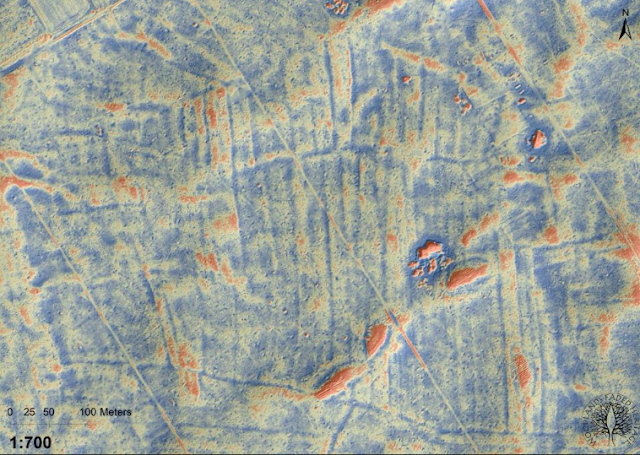 Archaeologists found traces of the settlement thanks to airborne laser scanning (ALS), a method increasingly popular among archaeologists. As part of a project aimed at creating, among other things, a flood control system, the entire area of Poland has been scanned. ALS allows to image terrain very accurately - even when it is overgrown with dense forest, and altitude differences are not visible to the naked eye. This is the case with the Tuchola Forest. In recent years, throughout Poland, especially in forests, archaeologists located dozens of previously unknown mounds, forts and other structures from thousands of years ago. "But it is uncommon to discover intact relics of arable fields dating back over 1,000 years. This way, from the very beginning of our research, we had a wider perspective and knew the layout of the settlement", the researchers point out. The archaeologists confirmed the age of the settlement based on the results of excavations, during which they found fragments of ceramic vessels from the first centuries of our era. Based on laser scanning, it is difficult to determine what the houses looked like. Researchers know that the settlement was surrounded by cultivated fields and there was a road leading to it, visible on laser imaging. The settlement together with adjacent fields covers over 170 ha. The exact layout of fields, boundaries, and even individual meadows are visible. "Images show that that individual fields could have several different owners", the archaeologist says. He adds that the fields are surprisingly regular. "Their shape is reminiscent of the three-field system known in Poland only from the Middle Ages. Had it been used several hundred years earlier? We hope that our research will yield an answer also to this question", he adds. Expert analyses show that rye was grown in the fields. The local inhabitants established arable fields only where there were more fertile loess soils. They did not cultivate on outwash sands. "They simply used 'islands' of better soil, which means that they had advanced knowledge of agriculture", emphasises Sosnowski.